English: "Of courage, God's grace, tread on the waves"
The Pakistan Navy (PN; Urdu: پاکستان بحریہ‎; Pɑkistan Bahri'a) is the naval warfare uniform service branch of the Pakistan Armed Forces. It came into its modern existence from the Royal Indian Navy that ceased to exist following the partition of British India through a parliamentary act that established the independence of Pakistan from the United Kingdom on 14 August 1947. Its primary objective and mission statement is to ensure the defense of sealines of communications of Pakistan and safeguarding the maritime interests by executing national policies through the exercise of military effect, diplomatic and humanitarian activities in support of these objectives. In addition to its war service, the Navy has mobilized its war assets to oversee to conduct the humanitarian rescue operations at home as well as taking participation in multinational task forces mandated by the United Nations to prevent seaborne terrorism and privacy off the coasts. The Pakistan Navy is a volunteer force which has been in mainly in conflict with neighboring India twice on its sea borders, and has been repeatedly deployed in Indian Ocean to act as a military advisory in the Arab states and other friendly nations during the events of multinational conflict as part of its commitment to the United Nations. :88 Overall manpower strength in the Navy is supported by the various branches within the Navy, including the Aviation, Marines, and the Maritime Security Agency– the coast guard branch within the Navy. Since its commencement on 14 August 1947, the defensive role of the Navy has expanded from securing the sealines and becoming the custodian of Pakistan's second strike capability with an ability to launch underwater missile system to target enemy positions. The Constitution of Pakistan establishes the role of the President of Pakistan as an elected civilian Commander-in-Chief, and the Navy is commanded by the appointed Chief of Naval Staff, by statue a four-star rank admiral, who is a senior member of the Joint Chiefs of Staff Committee is appointed by the Prime Minister and confirmed by the President of Pakistan. The Pakistan Navy is currently in command under Admiral Zafar Mahmood Abbasi who was in this command position on appointed on 7 October 2017. The Royal Indian Navy's rating sailors breaching the Gates of Delhi during the rebellion against the British rule in India in 1857. Due to the absence of the Constitution, the Ministry of Defense ran under the government act of 1935 with British monarchy overseeing the armed forces development, leading the Pakistan Navy to fall under the Royal patronage until the Constitution was promulgated that established the Navy as a federal institution in 1956. The Royal Pakistan Navy greatly depended on the generous donations from the British Royal Navy with two Battle-class destroyers, PNS Tippu Sultan and PNS Tariq. Tippu Sultan was commissioned on 30 September 1949, under Commander P.S. Evans, whilst Tariq was placed under the command of Lieutenant-Commander A. R. Khan. The two destroyers formed the 25th Destroyer Squadron, as PNS Jhelum and PNS Tughril, under Commander Muzaffar Hasan, also joined the Royal Pakistan Navy. PNS Badr, a destroyer, visiting the Great Britain on a goodwill mission in 1957. During this time, a number of goodwill missions were carried out by the navy's warships, and non-combat missions were conducted under the auspices of the Royal Navy. In 1951, HMS Choudhri's promotion papers as naval chief were approved by Prime Minister Liaquat Ali Khan but it was not until 1953 when HMS Choudhri was promoted as vice admiral and commander with the support from army commander Lieutenant-General Ayub Khan. :52 He handed over the command of 25th Destroyer squadron to a Polish naval officer, Commander Romuald Nalecz-Tyminski. In the mid 1950s, the Ministry of Finance awarded contracts to the Corps of Engineers for the construction of the Karachi Naval Dockyard. In 1954, several efforts were made to procure a Ch-class submarine from the Royal Navy but was rejected by British Admiralty which agreed to loan the Ch-class destroyer, HMS Chivalrous, which was renamed PNS Taimur. :51–52 From 1953–56, HMS Choudri bitterly negotiated with the United States over the modernization of the navy and convinced the U.S. government to provide monetary support for modernization of aging O–class destroyers and minesweepers, while commissioning the Ch–class destroyers from the Royal Navy. :54 British naval tradition was disbanded and cancelled when the United States Navy's advisers were dispatched to the Pakistani military in 1955. With the promulgation of the Constitution of Pakistan that established the republicanism featuring the federalized government, the prefix Royal was dropped, and the service was re-designated the Pakistan Navy ("PN") with the Jack replaced the Queen's colour and the White Ensign respectively in 1956. The order of precedence of the three services changed from Navy–Army–Air force to Army–Navy–Air Force. Proposal of attaining the aircraft carrier was deferred due to financial constraints, forcing Pakistan to move towards establishing the formidable submarine command. :108 From 1956 to 1963, two destroyers, eight coastal minesweepers, and an oiler were procured from the United States and United Kingdom as a direct result of Pakistan's participation in the anti-Communist defense pacts SEATO and CENTO. PNS Ghazi in war theater in 1965. In 1968, she executed a circumnavigation of Africa and Southern Europe in order to be refit in Turkey. Sunk in 1971 under mysterious circumstances. Even though, neither the Navy nor the Air Force was notified of the Kashmir incursion in 1965, the Navy was well-prepared at the time when the second war broke out between Pakistan and India in 1965. The naval chief Admiral Afzal Rahman Khan ordered all war units of the Pakistan Navy to take up defensive positions off the coast, but did not order any offensive operations in the Bay of Bengal. :60–61 As the Indian Air Force's repeated sorties and raids disrupted PAF operations, the Navy assumed a more aggressive role in the conflict. :61 On 2 September, the Navy deployed its first long-range submarine, PNS Ghazi under Commander K. R. Niazi which was charged with gathering intelligence on Indian naval movements that stalked the diverting threats posed by the aircraft carrier INS Vikrant. On the night of 7/8 September, a naval squadron comprising four destroyers, one frigate, one cruiser, and one submarine, under the command of Commodore S. M. Anwar, launched artillery operation— an attack on the radar facilities used by the Indian Air Force in the small coastal town of Dwarka. The operation ended with limited damage to the area. After gunnery bombardment, Ghazi was deployed against the Indian Navy's Western Naval Command at Bombay on 22 September and ended her operations and reported safely back to Karachi Naval Dockyard on 23 September 1965. Difficulties arose between and after the arms embargo was lifted by the United States which lifted based strictly on cash-and-carry basis. :63 Pleas for strengthening the Navy in East Pakistan were ignored due to monetary issues and financial constraints restricted the Navy's capabilities to function more efficiently. :63 In 1968, the Daphné-class submarines were procured from France while operating Tench-class submarines that was refitted and upgraded by the Turkish Navy. :63 Due to the Egyptian blockade of the Suez Canal, the Navy had to execute a notable submerged circumnavigation operation from the Indian Ocean through the Atlantic Ocean in order to undergo a refit program at the Gölcük Naval Shipyard in Turkey which was the only facility to manage the refitting and mid-life upgrades of military computers of the Tench class. Despite reservations harboring by the Navy NHQ about the aging Ghazi, she was sailed under the command of Commander Ahmed Tasnim starting from the Karachi coast in Indian Ocean to Cape of Good Hope, South Africa, through the Atlantic Ocean and ended at the east coast of the Sea of Marmara where the Gölcük Naval Shipyard was located. By 1971, the Navy NHQ staffers and their commanders knew very well that the Pakistan Navy was poorly represented in East Pakistan (now Bangladesh) and there was no main infrastructure to conduct defensive operation against the Eastern Naval Command of Indian Navy in Bay of Bengal. :64 The Navy was only able conducted the riverine-based operations that was being undertaken by the Pakistan Marines with the assistance from the Navy Special Service Group, code named, Barisal, in April 1971. Although, the Governor of East Pakistan, Vice-Admiral S.M. Ahsan, made efforts to increase the naval presence and significance in 1969 but the Indian Navy's Eastern Naval Command continued to pose a significant threat since it had capability of conduct operations in long-range areas. Furthermore, the defections from Navy's Bengali officers and sailors had jeopardize the Navy's operational scope who went onto join the Awami League's militant wing, the Mukti Bahini in a program known as Jackpot. Though, the program was disrupted by the Navy from further annihilation but the naval facilities were severely damaged due to this operation on 15 March 1971. East-Pakistan's geography was surrounded by India on all three landward sides by the Indian Army as the Navy was in attempt to prevent India from blocking the coasts. During this time, the Navy NHQ was housed in Karachi that decided to deploy the newly MLU Ghazi submarine on East while Hangor in West for the intelligence gathering purposes. —  Admiral Mohammad Sharif, to U.S. Admiral Zumwalt in 1971, . PNS Nazim, which previously took part in the Vietnam and Korean Wars in the U.S. Navy as USS Wiltsie. She is now serving in the Maritime Security Agency as its "on-sea" headquarters. With no naval aviation branch to guard the Karachi port, the Indian Navy breached the seaborne borders of Pakistan and successfully launched the first missile attack, consisting of three Soviet-built Osa-class missile boats escorted by two anti-submarine patrol vessels on 4 December 1971. Nearing Karachi's port area, the Indian Navy's squadron launched Styx missiles anti-ship missiles, which the obsolescent Pakistani warships had no viable defense against. Two of the warships, PNS Muhafiz and PNS Khaibar, were sunk, while PNS Shahjahan was damaged beyond repair. After the attacks, the Indian Navy's missile boat squadron safely returned to its home base without sustaining any damages. On 8 December 1971, Hangor commanded by its Commander Ahmed Tasnim, sank the Indian frigate INS Khukri off the coast of Gujarat, India— this was the first sinking of a warship by a submarine since World War II, and resulted in the loss of eighteen officers and one-seventy six sailors of the Indian Navy while the inflicting severe damages to another warship, INS Kirpan, by the same submarine. The Pakistan Air Force now covering for Karachi made several of the unsuccessful attempts to engage the Indian Navy's missile boat squadron by carrying out the aerial bombing missions over the Okha Harbor– the forward base of the Indian Navy's missile boat squadron. The Indian Navy retaliated with a second missile attack on Pakistan's coast on the night of 8 December 1971 when a small flotilla of Indian vessels, consisting of a missile boat and two frigates, approached Karachi and launched a missile attack that sank the Panamanian cargo ship Gulf Star, PNS Dacca and the British merchant ship SS Harmattan were damaged. The missile-based attacks were the complete success for the Indian Navy, and a psychological trauma for Pakistan Navy, the human and material cost severely cutting into its combat capability, nearly 1,700 sailors perished at the barracks. PNS Zulfiqar in 1947: She was subjected to a serious friendly fire incident when the senior naval observers misidentified their own ship as a smaller missile boat, giving clearance to the PAF to mount a missile attack. She was scrapped in metal in 1983. The commercial pilots from the Pakistan International Airlines volunteered to conduct air surveillance missions with the Pakistan Air Force, but this proved less than helpful when the Pakistan Navy's forward observer team, led by Cdre. A. W. Bhombal misidentified their own larger frigate, PNS Zulfiqar, as an Indian missile boat, giving clearance to the F-86 fighter jets of the Pakistan Air Force which made several attack runs before finally identifying Zulfiqar by the Navy NHQ. This serious friendly fire incident resulted in further loss of navy personnel, as well as the loss of the ship, which was severely damaged and the Pakistan Navy's operational capabilities were now virtually extinct, and morale plummeted. The Indian Navy observers who watched the raid nearby later wrote in their war logs that the "PAF pilots failed to recognize the difference between a large PNS Zulfiqar frigate and a relatively small Osa missile boat." The PAF, however, contested this claim by holding Cdre. Bhombal of the responsibility of misidentifying his own warship and giving clearance to the PAF to mount an attack on their own ship.. The Navy's only long range submarine, Ghazi, was deployed to the area but, according to neutral sources, it sank en route under mysterious circumstances. Pakistani authorities state that it sank either due to internal explosion or detonation of mines which it was laying at the time. The Indian Navy claims to have sunk the submarine. The submarine's destruction enabled the Indian Navy to enforce a blockade on then East Pakistan. According to the defence magazine, Pakistan Defence Journal, the attack on Karachi, Dhaka, Chittagong and the loss of Ghazi, the Navy no longer was able to match the threat of Indian Navy as it was already outclassed by the Indian Navy after the 1965 war. The damage inflicted by the Indian Navy and Indian Air Force on the Navy stood at seven gunboats, one minesweeper, two destroyers, three patrol craft, eighteen cargo, supply and communication vessels, and large-scale damage inflicted on the naval base and docks in the coastal town of Karachi. Three merchant navy ships; Anwar Baksh, Pasni and Madhumathi; and ten smaller vessels were captured. Around 1,900 personnel were lost, while 1413 servicemen (mostly officers) were captured by Indian forces in Dhaka. The Indian Navy lost 18 officers and 176 sailors and a frigate, while another frigate was damaged and a Breguet Alizé naval aircraft was shot down by the Pakistan Air Force. According to one Pakistan scholar, Tariq Ali, the Pakistan Navy lost half its force in the war. Despite the limited resources and manpower, the Navy performed its task diligently by providing support to inter-services (air force and army) until the end. The Daphné-class submarine PNS Ghazi deployed during the Operation Restore Hope in 1991. She was purchased from the Portuguese Navy in 1975 and joined the Pakistan Navy in 1977. The Gearing-class PNS Taimur (former USS Epperson) was acquired from the United States in 1977. She was sunk as a target in during a naval exercise in 2000. Eventually, the Pakistan Navy began its wartime deployment in Middle Eastern countries through the Persian Gulf and deployed its war assets in Saudi Arabia in support of the U.S. Navy's fleet in wake of the events involving the Iran-Iraq War and tensions with Libya. :145 In 1982, the Reagan administration approved US$3.2 billion military and economic aid to Pakistan with Pakistan acquiring eight Brooke and Garcia-class frigates from the United States Navy on a five-year lease in 1988. A depot for repairs, USS Hector followed the lease of these ships in April 1989. This was done due to the Zia administration's cooperation with the Reagan administration against the Soviet Union's invasion in Afghanistan. Since 1987, the Pakistan Navy had been interested in acquiring the Type 21 frigates from the United Kingdom, and the Navy turned to the Royal Navy for an immediate purchase which was approved in 1993 whose expensive refitting and technological upgrades had to carried out by Pakistan itself at their Naval Base in Karachi over the years. :185 In 1994, the Pakistan Navy entered in lengthy, complicated, and controversial negotiation with France to acquire the long-range submarine technology by dismissing the idea of procuring nuclear-powered submarine from China due to noise issue that the Indian Navy was quiet able to track. :183-185 Despite embargo, the United States Navy maintained its relations with Pakistan Navy, inviting the Pakistanis to participate in the Inspired Siren in 1994, and gave the Pakistan Navy instructions and run down on the nuclear submarine and aircraft carrier operations. :185 In an attempt to warm the political relations with the United States, the Pakistani military joined the U.S. actions in the Somali Civil War, conducting wartime patrol in the Somali coast. The Navy's P3C Orion taking a flight in 2010. One of its sister aircraft was involved in serious crash during its routine mission in 1999, claiming valuable lives. By 1997, the controversy over the technology transfer from France had tarnished the public image of the Navy with the arrest of naval chief when several cases were leveled on political and military leadership of the Navy. Despite India's strong objections in France, the air-independent propulsion was transferred to Pakistan which built the Agosta 90B-class submarine, capable to operating in Indian Ocean and at higher submarine depth. In 1999, the Navy saw the public disagreement with the federal government over the issue of Pakistan Army's engagement with Indian Army in Kashmir and over the rightful appointment of the Admiral Fasih Bokhari as Chairman joint chiefs. Pakistan Navy was forced to deploy its existing war assets when the Indian Navy deployed its warships near Korangi Creek Cantonment and Port of Karachi with their codename: Operation Talwar. Pakistan fully endorse the requirements of a strong navy, capable of safeguarding Pakistan's sea frontiers and her Lines of Communication, monitoring and protecting her exclusive economic zone. Continuous efforts are at hand to provide the best available equipment to the Navy despite all economic constraints. After his incident in 1999, another proposal was raised to switched the air-independent propulsion of Agosta submarine to substitute with nuclear propulsion, however the proposal was dismissed. PNS Shah Jahan and PNS Tippu Sultan, the Tariq-class guided missile destroyers, are participating in Exercise Inspired Siren in the Indian Ocean in 2002. After the 9/11 terrorist attacks in the United States, the sanctions on Pakistan were eventually uplifted, allowing the Navy to procure the U.S.-built weapon systems and warships to regain its ability to operate in the Indian Ocean as it became involved in war preparations during the standoff with India in 2001–02. In 2001, the Navy took serious consideration of deploying the nuclear weapons on its submarines although none of the nuclear weapons were ever deployed in the submarines. In 2003–04, there were several proposals made for acquiring the vintage aircraft carriers but the Navy itself had dismissed the idea since the country has not aspired to have an aircraft capability. :79 In 2002–03, the Pakistan Navy deployment took place in the Indian Ocean, participating in the naval drills to combat terrorism from seaborne platforms, and eventually entered in defense negotiations with China for acquiring the technology to designing and building the guided missile frigates— the F-22P guided missile frigates were eventually built it in 2006–15. An elite operative of the Navy Special Service Group (SSGN) is silhouetted by the setting sun abroad PNS Babur while under way in the Indian Ocean in 2007. Since 2004, the Navy's deployment took place in Indian Ocean, playing a crucial role in the multinational NAVCENT in Bahrain, and took the leadership of the CTF-150 and CTF-151 as well as taking active participation in the Operation Enduring Freedom in 2006–10. In 2008, the task force group consisting of PNS Badr, PNS Shah Jahan, PNS Nasr, and the Pakistan Air Force's Explosive Ordnance Disposal participated in the Exercise Inspired Union with the U.S. Navy in the Indian Ocean to develop skills in a prevention of seaborne terrorism. Its deployment in the War on terror also included their actions in the War in Afghanistan when the Navy's special forces were deployed to take participation in the Operations: Black Thunderstorm, Rah-i-Nijat, Mehran, and the Help. Despite its seaborne mission, the Navy had played an active role in controlling the insurgency in former tribal belt in Western Pakistan, mostly taking roles in managing logistics and intelligence gathering as well as conducting ground operations with the army in Western areas to track down the al-Qaeda operatives. From 2010–11, the Navy was in a brief direct conflict with the violent TTP group and al-Qaeda, and its Naval Intelligence was able to track down the infiltrated militants within the ranks of the Navy. In 2015, the Navy was deployed in support of the Saudi-led blockade of Yemen after accepting the request from the Saudi Arabia. As of current, the Navy continues increase its operational scope in the Indian Ocean and reportedly successfully entering in defense talks with Turkey to jointly built the MILGEM project in Pakistan in 2018–2019 while it had earlier announced to start the building the program of the nuclear submarine for its current operational capabilities in 2013. PNS Badr participating in the relief operations after the earthquake hit the northern parts of the country in 2005. Adm. Bashir meeting with the U.S. Army General David Petraeus, top commander of ISAF in Afghanistan, to initiate peace initiatives and counter-terrorism operations against Taliban forces in Afghanistan in 2010. In my opinion, if we have to repeat of past events then we must understand that Military leaders can pressure only up to a point. Beyond that their own position starts getting undermined because the military is after all is a mirror image of the civil society from which it is drawn. In times of national calamities and emergencies, the Pakistan Navy has been deployed in relief operations and nation building programs in the country. In 2004, a tactical task force under then-Commodore Asif Sandila coordinated the peacetime relief operations in Maldives, Sri Lanka, Indonesia, and Bangladesh when the underwater earthquake caused a tsunami and struck the South Asian nations. In 2005, the Navy deployed the PNS Badr (D-184) to help assists the relief efforts for the earthquake that struck the northern part of the country on October 2005. In 2010, the Navy coordinated its one the largest relief operation during the nationwide flash floods, with Navy divers rescuing and evacuating more than 352,291 people on August 2010. In addition, the Navy and Marines personnel provided 43,850 kg of food and relief goods to flood victims; 5,700 kg of ready-to-cook food, 1,000 kg of dates and 5,000 kg of food has been dispatched to Sukkur. As of January 2011[update], under the program PN Model Village, the Navy's civil engineering corps built the model houses in the affected areas for the internally displaced person (IDPs). On 10 June 2018, Pakistan Navy and Maritime Security Agency rescued eleven Iranian crew members on an sunken Iranian boat in the Northern Arabian Sea, about 230 kilometres (140 mi) away from Karachi. The Pakistan Navy has the wider commercial and financial interests in the country, and is a forerunner of the Bahria Foundation (lit. Naval Foundation). From 1996–2000, the Navy was a major sponsor of the Bahria Town– the real estate enterprise– and reportedly received market shares for the use of its name in commercial building projects. In 2002, the Navy filed a civil lawsuit to refrain the Bahria Town using its name for profiteering– the lawsuit was eventually settled in civil court in favor of Navy in 2018. For external billets appointment, the federal government takes the senior leadership of the Navy as secondment to manage the federal institutions such as the Karachi Port Trust, Port of Karachi, and the Port of Gwadar. The American Chief of Naval Operations, Adm. Gary Roughead, inspecting Pakistan Navy sailors at the Navy NHQ in Islamabad in 2009. Leadership in the Navy is provided by the Minister of Defense, leading and controlling the direction of the department of navy from the Naval Secretariat-II at the Ministry of Defense, with the Defense Secretary who is responsible for the bureaucratic affairs of the army's department. The Constitution sets the role of the elected President of Pakistan as the civilian Commander-in-Chief of the Pakistan Armed Forces while the Prime Minister of Pakistan served as the Chief Executive of the Pakistan Armed Forces, both the people-elected civilians, the President and Prime minister, maintains a civilian control of the military. The Chief of Naval Staff (CNS), an appointed four-star rank admiral, is a principal military adviser on the naval/maritime security affairs to the Federal government and is a senior member of the Joint Chiefs of Staff Committee (JCSC)— a military body that advises and briefs the elected civilian Prime Minister and its executive cabinet on national security affairs and operational military matters under the Chairman of the Joint Chiefs of Staff Committee. The war functions of the Navy is controlled from the single combat headquarters, the Navy NHQ, located in Islamabad at vicinity of the Joint Staff Headquarters and the Army GHQ in Rawalpindi Cantonment in Punjab in Pakistan. The Chief of Naval Staff controls and commands the Navy at all levels of operational command, and is assisted by number of Principal Staff Officers (PSOs) who are commissioned at the three-star rank admirals. Deputy Chief of Naval Staff, Supply (DCNS-S), NHQ. Deputy Chief of Naval Staff, Training and Evaluation (DCNS-Trig/E. ), NHQ. Deputy Chief of Naval Staff,Administration (DCNS-A), NHQ. The senior military leadership of the Navy meeting with the U.S. Chief of Naval Operations Adm. Gary Roughead at the Navy NHQ in Islamabad. The each and appointed deputy chiefs of naval staff headed their respected branches and report directly to the chiefs of staff their respected command at the Navy NHQ in Islamabad. The branches in the Navy are in fact administrative not combat service— therefore these branches imposes educational and medical qualifications its junior officers to be educated at the higher level of their knowledge once passed out from the naval academy. Each branches in the Navy offers the specialization and officers interested in joining the particular service have to pass the aptitude tests before attending the specialized school that usually last for two to three years, in which the officer is able to attain the college degree. Sources: Professional Branch of Pakistan Navy. For other Enlisted Branch. Each of the tens commands directly reports to the Chief of Naval Staff (CNS), operating directly at the Navy NHQ in Islamabad in Pakistan. In 2012, the Pakistan Navy established the Naval Strategic Forces Command that has area responsibility of exercising the deployment of sea-borne nuclear weapons and is described by the military as the "custodian of the nation's nuclear second strike capability. The peacetime commands and the Commands in the Navy allocated are given below. The war-fighting command responsible for operational deployments of the Surface, Submarine, and Aviation Commands to ensure the operational readiness and assurances of the Navy. Directs the offshore establishments, training schools, military protocol, and ensuring coastal defense of Karachi coast. Directs the coastal command by ensuring the coastal defenses of Pakistan from Iranian border in West to Indian borders in East. Directs the logistics command to oversee the maintenance, military logistics and material readiness for construction warships at the shipyard. The Pakistan Navy has a dedicated military division towards conducting the unconventional warfare, combat diving, naval interdiction, and the asymmetric warfare operations, established under the watchful guidance of the United States Navy's SEALs in 1966. The Pakistan Marines dressed in operational camouflage uniforms, during training with United States counterparts in Alexandria in 2009. This elite and competitive division in the Navy is known as the Special Service Group (Navy) (SSG(N)), colloquially known as the SSGN or SEALs as an unofficial call sign, whose classified nature of operations are conducted under the authority of the Naval Strategic Forces Command and is directly under the command of the Commander of the Coastal Areas. The Navy Special Service Group is influenced from the competitive training of the Army Special Service Group, and is headquartered at the PNS Iqbal in Karachi where the physical conditioning and weapon tactics training took place. The Navy Special Service Group's specialization further included training and mastery in the visit, board, search, and seizure methods, naval interdiction, and security operations to prevent seaborne-based terrorism. In sharp contrast to the Army Special Service Group, the Navy Special Service Group is a tighter unit composed of highly qualified and selected personnel who are modeled and inspired by the U.S. Navy SEALs training and tradition. Actual number of personnel of Navy Special Service Group is classified and their deployment are also subjected to classified information. In 1970–71, the Navy established the Pakistan Marines to support the amphibious warfare operations and were initially influenced from the performances by the United States Marines Corps but the Marines component was decommissioned by the federal government in 1974. On 14 April 1990, the Pakistan Marines were again recommissioned in the Navy with about 2,000 personnel who were drafted in the new contingent. The advanced training of the Marines are often takes place with the Pakistan Army at their School of Infantry and Tactics in Quetta in Balochistan. The 1st Marines Battalion, the special operation unit, of the Pakistan Marines is specifically trained by the Pakistan Army to conduct the infiltration and conducting the anti-aircraft warfare operations, and the Marines's 1st Battalion is currently deployed in Sir Creek. PNS Hamza, the air-independent powered Agosta 90B-class submarine, being prepared to go through the depth tests in 2007. The Agosta 90B submarines are capable of launching the nuclear-based cruise missiles from an underwater platform. The combat military doctrine and defense philosophy of the Pakistan Navy is primarily directed towards preventing the opportunity to the Indian Navy to launch or the remake of the missile attacks on the port cities of Pakistan that took place in 1970s. Over the years, the Pakistan Navy engaged in developing the tactical doctrine that includes the acquisition, development, employment, and aggressive deployment of the long-range and depth reaching submarines in an effort to target and destroy its adversaries by attacking surface warships before reaching the country's ports. The mining of the Karachi's harbor is also taken as a serious consideration of preventing the enemy from launching the missile attacks in the port city of Karachi. In 1983–85, the Pakistan Navy commissioned the Dassault Mirage 5 from France whose weapon system included the naval variant of the Exocet missiles and are aimed towards engaging the Indian Navy's aircraft out to 500 kilometres (310 mi) in the Indian Ocean. The routine deployment of the surface fleet as part of the Combined Task Forces provides the opportunity to the safeguard the sealines of communications. Since 1999, the Pakistan Marines's special reconnaissance forces has been deployed in the Sir Creek region are aimed towards offshore protection against the incursions from the Indian Army's Para Commandos from the sea while taking the initiatives of deployment of the special forces groups behind the enemy lines through insertion by the HALO/HAHO airdrop or by using the midget submarines. Responding to the development of the INS Arihant, the Pakistan Navy reportedly announced the launch of the nuclear powered submarine program to counter the submarine threat in 2012. The Navy eventually pushed for attaining the naval-based nuclear second-strike capability in 2017 when the ISPR annouched the Pakistan Navy's to have attain the sea-based second strike capability when it launched the nuclear SLCM based on the Babur cruise missile, though the range of the SLCM remains to be at the short range. Commodore Asif Khaliq (left) saluting with officers Cdre. Keith Blount (middle) of RN Cdre. Daryl Bates (right) of RNZN. The Cdre. is a star officer rank equivalent to one-star general (Brig.) in the Pakistan Army. Unlike the army or air force where there are several paths to become the officers, there is only one way of becoming the naval officer by must attending the Pakistan Naval Academy—after passing out the boot camp in Manora Island— for one-and-half year for them to be able to passed out from the Academy. The passed out cadets gain commission in the Navy as midshipman, taking their first assignment in a open-sea ship that gives them the experience of life at sea while being trained in different careers on board. The training of the passed out midshipman usually lasts till six months before rotating back to the naval academy to be promoted as the Sub-Lieutenants. Their college education is provided by the Navy at the Naval Engineering College in Karachi for three years that led them to earn the bachelors' degree in their choice of career. Besides the military officers, the Department of Navy also offers employments to civilians in financial management, accountancy, medical services, computing, and administration, and has currently employed ~2,000 civilians that met the Navy's quota in 2018. Abbreviation FA Adm. V-Adm. R-Adm. Cdre. Capt. Cdr. Lt-Cdr. Lt. S-Lt. Mid. The Pakistan Navy's enlisted personnel at the Jinnah's Tomb in Karachi in 2007. After passing out from the nine-month long boot camp, the enlisted personnel are directed for subsequent job training at the PNS Karsaz in Karachi on the matters of technical subjects and assigned for different branches in the Navy. Their technical experiences in their fields is consolidated into the professional training that forms their basis to attend the respective university for them to earned the four-year college degree. The noncommissioned officers (or enlists) wear respective anchors color patches or badges chevrons on their shoulders. Retirement age for the enlisted personnel varies and depends on the enlisted ranks that they have attained during their services. The passing out (graduation) of cadets from the Pakistan Naval Academy in Karachi in 2008. The education and boot camp training last for two years before cadets becomes sailors. After 1971, the Bhutto administration introduced the quota system to give fair chance to the residents of Khyber-Pakhtunkhwa and Balochistan to enlist in the military. :75 In 2007, the Navy gave commissioned to its first Baloch batch, consisting of fifty-three women and seventy-two enlists from Balochistan in Pakistan. In 2012, the Navy pushed its personnel strength to Balochistan after sending a large formation of Baloch university students to Navy Engineering Colleges and War College as well as staff schools to complete their officer training requirements. The Navy established three additional facilities in Balochistan to supervise the training to its personnel. Recruitment in the Navy remains to be challenge for the naval recruiters to enlists citizens and their selfless commitment to the military from the urbanized metropolitan cities where the preference of college education (especially attending post-graduate schooling in the United States and the English-speaking countries) is much higher and strongly desirable. :80 Furthermore, the medical standards and education levels required by the Department of Navy to be able to perform technical jobs also poses significant challenges as the Navy requiring the significant percentage marks once the matriculation examinations are concluded. The Navy has only one boot camp, the PNS Himalaya in Manora Island, where the basic military training takes place. The basic military training at the PNS Himalaya goes for nine-months where instructions on military life is given while the physical conditioning is strongly emphasized. Once completing the boot camp, the enlisted personnel are send to attend the Pakistan Naval Academy where their training lasts for year and half before they are able to passed out from the Naval Academy. :93 Once passing out, the commissioned junior officers must spent six-month deployment in Indian Ocean before being selected to attend the professional schools, such as the Naval Engineering College in Karachi, to move towards attaining the bachelor's degree in a period of four-years. The campus of the Naval Engineering College (PNEC) in Karachi in Pakistan. The Pakistan Navy offers the wide range of lucrative careers to the high school graduates in the technical fields by issuing specialized diplomas and certifications at the PNS Karsaz and the PNS Bahadur, which consists of the schools of operations, underwater, surface weapons, communications, and the naval police. Instructions and technical education on technical fields and the engineering are primarily taught at the Pakistan Navy Engineering College that is open for both military and public admission, and offers college degree programs at undergraduate and post-graduate level. In 1966, the Pakistan Naval Academy was established under the guidance of the United States Navy, and is a premier institution of higher learning whose alumni included the Commanders of the Royal Qatari Navy, Royal Saudi Navy, and the Sri Lanka Navy while other nations naval cadets have also attended the naval academy. In 1968, the Naval War College was established in Lahore, whose curriculum is very similar to the Naval War College in the United States, is a primary military staff college which offers critical thinking techniques and developing ideas for naval warfare to the officers in the army and the air force. In 1970, the School of Logistics and Management was established that conducts research on military logistics and management in imparting naval warfare techniques to the military officers serving in the army, air force, and marines departments of the Pakistani military. Karachi in Sindh "Naval Polytechnic Institute". Karachi in Sindh "PNS Karsaz". Karachi in Sindh "Pakistan Navy Engineering College". Karachi in Sindh "Submarine School". Karachi in Sindh "PNS Iqbal—Naval Special Warfare School". Lahore in Punjab "Naval War College". Karachi in Sindh "School of Logistics and Management". Karachi in Sindh "School of Aviation". Karachi in Sindh "PNS Bahadur". Karachi in Sindh "Navigation and Operations School". Karachi in Sindh "Surface Weapons School". Karachi in Sindh "Underwater Warfare School". Karachi in Sindh "Communications School". Karachi in Sindh "Hydrography School". Karachi in Sindh "School of Music". Karachi in Sindh "Regulating and Provost School". Karachi in Sindh "Information Warfare School". Nathia Gali in Khyber-Pakhtunkhwa "Naval STOC". Islamabad in Pakistan "Bahria University". Karachi in Sindh "Bahria College Karachi". Karachi in Sindh "Bahria College, Karsaz". Ormara in Balochistan "Cadet College Ormara". Multiple campuses "National University of Sciences and Technology". The PNS Karsaz—the training facility on heavy machinery was established in 1954. Established in 1991, the National University of Sciences and Technology (NUST) has now absorbed and amalgamated the existing naval engineering college, and is a counterpart institution in science and technology to that of the National Defense University (NDU) in Islamabad. Besides the strategic and military education, the Navy leads the scientific programs at the Naval Observatory for producing timing and navigation while it leads the research on hydrography by conducting the hydrographic survey for the Pakistani military through the PNS Behr Paima, and provides support to the oceanographic program led by the civilians National Institute of Oceanography (NIO). Pakistan Navy personnel conducting a naval interdiction exercise with the U.S. Navy personnel in the Indian Ocean in 2004. After the Indian Navy's missile attacks in Karachi in 1971, the Navy concentrated building and moving its operational assets in Balochistan, Punjab, and the Khyber-Pakhtunkhwa. These naval bases are operationalized for various purposes including the logistics and maintenance support, armory and ammunition support, air stations, military hospitals, SEALs teams, coastal and missile defenses, missile boats and submarine bases, forward operating bases etc. The PNS Zafar serves as the major logistics naval base for the Pakistani military's operational capability in the western and northern Pakistan, followed by the naval forward operating base constructed at the vicinity of the Naval War College in Lahore. The primary naval air station, where the Mirage 5 are stationed, is the Naval Air Station Mehran (PNS Mehran), followed by the establishment of the naval air stations in Makran, Ormara, Turbat and the Manora Island. In 2017, the PNS Siddiq was commissioned to support the aerial missions for the Navy's Naval Aviation reconnaissance group to guard the safety of the CPEC. The PNS Hameed, commissioned in 2017, is an ELF and a VLF facility near the Karachi coast, while the Karachi-based PNS Iqbal and the PNS Qasim serves for the operational activities dedicated for the Navy Special Service Group and the Marines Corps. The Jinnah Naval Base and the Kalmat Naval Base are dedicated towards maintaining and harboring the country's strategic assets such as the nuclear-capable submarines. Besides deployment within Pakistan, the Pakistan Navy, along with the inter-services branches, are permanently based in different parts in the Saudi Arabia and the United Arab Emirates. The Nishan-i-Haidar: As of 2019[update], the Navy has yet to achieved this feat since no naval officer is posthumously honored with the Nishan-e-Haider. From 1947 till 2019, there has been ten Pakistani military officers and enlisted personnel who have achieved this feat/or have honored with this prestigious medal— out of which, nine recipients have came from the Pakistan Army while there is only one recipients from the Pakistan Air Force, that are bestowed with this prestigious medal. Almost all the recipients were martyred during their engagement in wars with India in 1965, 1971, and in 1999, and honored with this prestigious award by the President of Pakistan based on the accepted recommendations. Since the commencement of the Navy on August 1947, there has been no single naval officer or/ either a navy's enlisted member in the Pakistani military that has been honored or bestowed with this prestigious medal— a recommendation was sent to honor one officer for his actions in the War on Terror in Afghanistan and the Western Pakistan but the recommendation was rejected by the President of Pakistan in 2011. The Tariq-class guided missile destroyer, former British general purpose frigates that underwent major refitting and overhauling in 2002. The F-22P Zulfiquar-class guided missile frigates designed and constructed with a joint venture with China and Pakistan in 2008. USS McInerney in 2004. She is now known as PNS Alamgir after a major refit and overhaul in 2010. PNS Larkana patrolling off the Karachi coast in 2009. She is the lead ship of the Larkana–class missile boats. The names of the commissioned warship and noncombat vessels of the Pakistan Navy are prefixed with the capital letters "PNS"— the Pakistan Navy Ship. The naming convention of the ship are selected by the Ministry of Defense, often honoring the important people or places in the history of Pakistan, and then commissioned by the President of Pakistan. The Surface Fleet (also known as "Surface Warrior), established in 1947, is a crucial branch of the Navy often playing crucial role in maintaining the military balance with the Indian Navy in the Indian Ocean by taking participation in multinational task forces mandated by the United Nations to prevent seaborne terrorism and privacy off the coasts. The Pakistan Navy currently operates ~100 warships including the ships from the Maritime Security Agency (MSA), Pakistan Marines, and the patrol boats from the Coast Guards. In current inventory of the Navy, the Navy has combination of British, American, Chinese, and locally produced warships including the American Oliver Hazard Perry-class frigate, British-designed Tariq class, and Pakistan-built Zulfiquar-class frigate that was built with Chinese assistance. Decommissioning of the Tariq class destroyer has been commenced due to their material aging with construction of the additional missile guidance Zulfiquar-class frigate in Pakistan by 2021, and the acquisition of the Jiangkai II-class frigates from China that started in 2017. 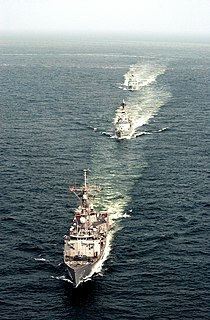 The Tariq class are the guided missile destroyers that are in the service with the 25th Destroyer Squadron while the F-22P Zulfiquar class are the guided missile frigate attached with the 18th Destroyer Squadron with a complement of the American-transferred USS McInerney (now PNS Alamgir) in 2011. PNS Alamgir (former USS McInerney), being handed over to Pakistan Navy on 31 August 2010 at the Naval Station Mayport in Florida. In 2011, the Navy commissioned the Azmat-class corvette based on the Chinese design of Type 037II Houjian missile boat with the lead boat being designed in China while three remaining were built in Pakistan through the technology transfer agreement– these missile boats are commissioned into the 10th Patrol Squadron. In addition, the 10th Patrol Squadron has commissioned the two Jurrat-class missile boats based on the German-designed and two missile boat based on the from the Turkish design, MRTP. The Larkana-class gunboats are locally produced at the KESW Ltd. in Karachi that is in the current service with the Pakistan Navy, forming the Fast Patrol Craft Squadron. In addition to the Navy's operations of warships, the Navy operates twenty-two coast guard ships intended for the Maritime Security Agency–most are imported from China while others are locally build to guard the coastal shoreline of Pakistan's seaborne borders from the illegal activities, followed by the ten of the locally designed and built patrol boats for the Coast Guards for the safety and policing of the beaches in the country. In 2017, the Pakistan Navy entered in discussion with the Turkish Navy to acquire four of the MILGEM-class warship, and eventually signing a major defense deal based on a technology transfer with Turkey on 5 July 2018, which was described as "the largest defense export of Turkey in one agreement." In addition, the Navy awarded the contract for another technology transfer of two 75 m (246 ft) multi-purpose corvettes from American shipbuilder, the Swift, and two offshore patrol vessels from Dutch shipbuilder Damen Shipyards. PNS Hashmat in the Persian Gulf in 2014. She is based on the French Agosta 70A-class design, which is powered with the diesel-electric propulsion. The Submarine Force ("Submarine Service Command") is a major combat component of the Pakistan Navy whose primary mission is to commence the peaceful engagement by conducting the clandestine military reconnaissance for intelligence as well as conducting the precision strikes on enemy positions from underwater platform when its nation is at war with another country. Established in 1964, the Submarine Command of the Pakistan Navy an elite component that is noted the first of its kind in the region, and is responsible for protecting the country's sea lines of communication, safeguarding the economic interests, foreign trade, and the overall sea-based trade of the country during the peacetime. PNS Hamza, an air-independent-powered Agosta 90B-class submarine, being prepared to go through the depth tests in 2007. The Agosta 90B-class submarines are equipped with the air-independent propulsion system have capability of deeper dive and has ability to submerged for a longer period of time without detection from the enemy. The Agosta-90B-class submarines, noted for their long-range distances, are capable with the ability to launch the Exocet missile and the Babur-III (a SLCM) from an underwater platform. The two of the three Agosta-90B class are currently undergoing with refitting and modernization program by the Turkish firm, STM, and are expected to be return to its full active duty in 2020–21. In 2014, Pakistan Navy entered in defense discussions with the People's Liberation Army Navy for the procurement of the Yuan-class submarines, and eventually succeeded when the technology transfer agreement was signed between two nations on April 2015. This national submarine program is known as Hangor-class submarine features air-independent propulsion is being constructed as a joint-venture with China with the expectation of being commissioned between 2023–2028. In a direct response to INS Arihant, the Pakistan Navy eventually succeeded getting the proposal approved for building the nuclear-powered submarine whose delivery is expected to between 2028, according to the Pakistan Navy officials. In April 2014, the Pakistan Navy issued a press release of announcing the shifting of the primary submarine operations from Naval Base Karachi to Jinnah Naval Base in Ormara. Training on the submarine operations takes place in PNS Abdoze (the training facility in Karachi), followed by the establishment of the Fleet Acoustic Research and Classification Center in May 2008 that validates the safety standards of the submarines as well as acting as an underwater listening post for tracking the unauthorized deployment of the submarines. PNS Nasr in Colombo Harbour, Sri Lanka in 2017. The Navy has six replenishment oil tankers, three minehunters, and four Griffon 2000TD hovercraft for the amphibious warfare. The Landing Craft Mechanized (LCM) are the important and center pieces for the amphibious operations undertaken by the Marines Corps and expeditionary actions by the Army as the two of the LCMs are commissioned by the Navy after being handed over by the KESW Ltd. in 2016. In 1987, the Pakistan Navy commissioned PNS Nasr, the Fuqing-class, fleet tanker from China that was followed by the commissioning of PNS Moawin (A20), of the Poolster class, from the Royal Netherlands Navy in 1988. In 1995, Poolster-class PNS Moawin was subjected to a serious fire accident that claimed valuable life during the refitting of the vessel in Karachi. The Navy also operates two coastal tankers that were indigenously designed and locally built at the Karachi Shipyard— PNS Gwadar and PNS Kalmat— commissioned in 1984 and in 1992. In 2011, the Navy commissioned two more small tankers/utility ships (STUS) —PNS Madadgar and PNS Rasadgar —to support the logistics and marine operations in the open sea. PNS Rah Naward, a tall ship commissioned from the British Royal Navy in 2010. The French Navy's Céphée. PNS Munsif is nearly identical to the one shown in the photo. The Griffon 2000TD hovercraft of the Pakistan Marines in Karachi in 2006. In 1992, the Navy increased its operational capabilities in mine countermeasures with the commissioning of PNS Munsif from the French Navy, followed by the technology transfer to Pakistan which led the commissioning of two more mine countermeasure vessels from Munsif-class minehunter in 1996 and 1998. Together with the Munsif-class minehunters and the replenishment oil tankers, these classes of ships are commissioned and complemented in the 9th Auxiliary Squadron. In 2018, the Pakistan Navy commissioned another PNS Moawin (A39) which was locally engineered and constructed from the crucial design guidance from Turkey– the fleet tanker is noted for being the largest warship ever built in Pakistan. In 2011, the Pakistan Navy established the 21st Auxiliary Squadron to further support its fleet's logistics operations to fulfill the requirements of hydrological survey in the ocean, and the dredging operations in the area of responsibility that includes the training requirements for the Pakistan Navy's personnel at the deeper ocean which is conducted by a dedicated Sail Training Vessel. The 21st Auxiliary Squadron consists of PNS Rah Naward, a tall ship acquired from the United Kingdom in 2010, PNS Behr Khusha, a dredging vessel commissioned from China in 2008, and PNS Behr Paima, that was commissioned from Japan in 1983. The Pakistan Navy's Mirage 5 with the sky blue markings taxied with the Pakistan Air Force's F-16. The Navy's Mirage 5 parked with the Air Force's JF-17 aircraft. Only handful of the Navy's Mirage 5 are equipped with the Exocet missiles whose ownership is tightly controlled and contested by the Pakistan Air Force. The Navy's principle aerial fighting branch is known as the Naval Air Arm whose initial pilots' training took place at the Air Force Academy in Risalpur. In 1983, the Pakistani government authorized the funding of the Mirage 5 for the Pakistan Air Force, out of which, twelve Mirage 5 are equipped with the Exocet A39 missiles. :71 In addition, there are numbers of aircraft active in the Maritime Security Agency (MSA). In 1993, the Pakistan Navy received five of the Mirage 5 aircraft from the donations from the Pakistan Air Force after undergoing midlife upgrade program in a joint multinational venture.. Overhauling of the Mirage 5 aircraft are continuously carried out at the Pakistan Aeronautical Complex (PAC) where Navy fighter pilots are given instructions Mirage 5's avionics by the Air Force's pilots and their air technicians. The Pakistan Air Force maintains a tight control over the ownership of the Mirage aircraft with only handful of the Mirage jets are inducted for their naval role covering for the Pakistan Navy's seaborne borders from the Indian Navy's attacks. Overall, the military administration in the Air Force controls the Mirage aircraft flight plans but allows the Navy fighter pilots to be a part of the flight operations over the seas, which they fly with their air force counterparts. In 2014, the Navy submitted a proposal to acquire JF-17 Thunder aircraft to counter the Indian Navy's aerial fleet capability, which is due pending for approval by the federal government. Besides the Mirage 5 fighter jet, the Navy also operates the Fokker F27 Friendship, Breguet Atlantique, Lockheed P-3 Orion, ATR 72, and Hawker 800 as their fixed-wing aircraft inventory. The rotary-wing aircraft in the naval air arm includes the Harbin Z-9 and the Westland Sea King while the Lynx helicopters have now been removed from active service due to maintenance issues, and a tender has been issued for their removal. The U.S.-built P-3C Orion of the Navy flying over the Australia during Navy's exercise with the RAN in 2013. The British-built Westland Sea King in 2010. The French-built Breguet Atlantique making a landing in 2011. The French-built Aérospatiale Alouette III landing vertically at the USS George H.W. Bush in 2011. The Mirage 5, with the sky blue markings, are equipped with the Exocet A39, the AshM, taxied at the Shahbaz Air Force Base in 2011. The POF G3P4 is a standard rifle issued by the Ministry of Defense as seen by the Navy's enlisted personnel in 2009. Current weapon systems in the Pakistan Navy is entirely composed and focused towards missiles, serving as both weapons or a defense from a threat. Up until the 1971 with the Indian Navy's introduction of anti-ship missiles, Navy had the strong emphasis on classically using the artillery and ammunition focusing towards the vintage tactics witnessed in the previous naval wars fought in the World War II. The Navy's primary air defense systems included the usage of the Anza man-portable air-defense systems and the Mistral surface-to-air defense system. The primary and standard rifle issued for the Navy is the POF G3P4, which is standard issue by the Ministry of Defense, and is based on the German design of the Heckler and Koch G3 rifle. The Navy's air defense system are entrusted with the Pakistan Marines who receives their weapons training at the School of Infantry and Tactics in Quetta with the Pakistan Army soldiers. In 2016, the Navy inducted the Harbah cruise missile, based on the Babur design, that was test fired from the PNS Himmat– the Azmat-class missile boat. The Navy operates the Zarb cruise missile that was first test fired on 10 April 2016. The cruise missiles system in the Navy, the Harbah, Zarb, and even Babur–III, are the variants and derivatives of the improved engineered version of the first cruise missile that entered in the service of the Pakistan Army— the Babur cruise missile system in 2003. FN-16, the man-portable air-defense systems, tested on 25 December 2010 by Pakistan Marines with a range of 6 km and altitude ~ 3.5 km. Mistral shoulder-fired surface-to-air missile, test fired on 25 December 2010 by Pakistan Marines. In 2014, the Navy working uniform pattern for all officials have been changed in favor of adopting the authorized digital camouflage pattern uniform which incorporates sparse black and medium grey shapes on a light grey background. The Navy Special Service Group follows the Army Special Service Group's authorized uniform and wears the U.S. Woodland (M81) uniform while the Pakistan Marines have their own woodland pattern featuring light brown, olive green and blue shapes on a tan or light olive background. The Naval Jack of the Pakistan Navy adopted since 1956. ^ Osman, Ali (13 February 2019). "Exercise Aman-19: Pakistan Navy's expanding influence" (html). The Express Tribune. Indian Ocean: Express Tribune. Express Tribune. Archived from the original on 13 February 2019. Retrieved 13 February 2019. "Now, we no match to India in terms of presence. If the Indian Navy has been to an area in the Indian Ocean, the Pakistan Navy is present there too— quotation by the senior naval officer in Pakistan Navy." ^ a b NIT. "Pakistan Submarine Capabilities". Nuclear Threat Initiatives. NIT Pakistan Directorate. Archived from the original on 31 May 2012. Retrieved 8 April 2012. ^ a b c d e f g h i j k l m n o p q Waters, Conrad (2011). "(§The Pakistan Navy)" (google books). Seaforth World Naval Review 2012 (1st ed.). Barnsley, Yorkshire, UK: Seaforth Publishing. p. 200. ISBN 9781783466320. Retrieved 1 February 2019. ^ Hazdra, Peter; Reiter, Erich (2013). The Impact of Asian Powers on Global Developments (1st ed.). Washington, U.S.: Physica-Verlag HD. p. 209. ISBN 9783662131725. Retrieved 29 January 2019. ^ Ahmed, Khalid (2016). Sleepwalking to Surrender (2nd ed.). New York, US: Penguin Books Limited. p. 320. ISBN 9789386057624. Retrieved 29 January 2019. ^ a b Military balance : the annual assessment of global military capabilities and defence economics 2017. Routledge, Taylor & Francis for The International Institute for Strategic Studies. 14 February 2017. ISBN 9781857439007. ^ a b c d e Khan, Hassan (1 June 2003). "Command and Structure of the Navy" (html). www.pakdef.org. Command & Structure « PakDef Military Consortium. Archived from the original on 26 September 2018. Retrieved 1 February 2019. ^ a b "Advertisement of Join Pakistan Navy civilians". vulearning.com. Archived from the original on 29 January 2019. Retrieved 29 January 2019. ^ "Official History of Pakistan Navy". www.paknavy.gov.pk. Archived from the original on 1 November 2016. Retrieved 29 January 2019. ^ Pakistan Navy (18 March 2008). "Pakistan Navy: Roles and Function". Naval Inter-Service Public Relation (Naval ISPR). Pakistan Navy Public and Military Affairs. Archived from the original on 9 June 2009. Retrieved 4 July 2011. ^ "IDEAS -Pakistan Navy". ideaspakistan.gov.pk. Archived from the original on 29 January 2019. Retrieved 29 January 2019. ^ Roy-Chaudhury, Rahul (2000). India's Maritime Security. Knowledge World. p. 208. ISBN 9788186019290. Retrieved 29 January 2019. ^ (Iiss), The International Institute of Strategic Studies (14 February 2017). The Military Balance 2017. Routledge, Chapman & Hall, Incorporated. ISBN 9781857439007. ^ Mills, J.M. (2003). Exploring polar frontiers: a historical encyclopedia. 1 (A–M). Santa Barbara: ABC-CLIO. ^ PN, Pakistan Navy. "Pakistan Navy: Hydrography". Naval Inter-Service Public Relation (Naval ISPR). Pakistan Navy Department of National Research and Hydrography. Archived from the original on 24 September 2015. Retrieved 12 June 2011. ^ Zahra-Malik, Mehreen; Macfie, Nick (10 January 2017). "Pakistan fires 'first submarine-launched nuclear-capable missile'" (html). Reuters. Islamabad: Reuters. Reuters Pakistan Bureau. Archived from the original on 19 January 2019. Retrieved 29 January 2019. ^ "Zafar Mahmood Abbasi takes over command as Pakistan Navy chief". Pakistan Navy. Archived from the original on 23 October 2018. Retrieved 29 January 2019. ^ Chapter 2 Archived 11 March 2012 at WebCite in the PartXII . Pakistani.org. ^ "[Chapter 2. Armed Forces] of [Part XII: Miscellaneous]". Pakistani.org. Archived from the original on 11 March 2012. Retrieved 15 May 2012. ^ a b c d e f g h GoPAK, Government of Pakistan. "History". Electronic Government of Pakistan. Pakistan Navy, Historical reference. Archived from the original on 5 December 2011. Retrieved 6 April 2012. ^ Chandar (Retd), Col Y. Udaya (2018). "(Partition of the British Indian Armed Forces)" (google books). Independent India's All the Seven Wars. Chennai, Ind. : Notion Press. ISBN 9781948473224. Retrieved 1 January 2019. ^ a b c d e f g h i j k l m n o p q r s t u v w x y z aa ab ac ad ae af ag ah ai aj ak al am an ao ap aq ar as at au av aw ax ay az ba bb bc bd be bf bg bh bi bj Goldrick, James Vincent Purcell (1997). "The Pakistan Navy (1947-71)" (PDF). No Easy Answers: The development of the navies of India, Pakistan, Bangladesh, and Sri Lanka (1945-1996) (1st ed.). London, UK: Lancer Publishers. p. 270. ISBN 9781897829-028. Retrieved 29 January 2019. ^ Cheema, Pervaiz Iqbal (2002). The Armed Forces of Pakistan. NYU Press. ISBN 9780814716335. Retrieved 3 February 2019. ^ a b c d e f g h Cheema, Pervaiz Iqbal (2002). "(§Evolution of Pakistan Navy)" (google books). The Armed Forces of Pakistan. New York, Pakistan: NYU Press. p. 200. ISBN 9780814716335. Retrieved 31 January 2019. ^ Kazi, AGN (15 August 1947). "List of Naval officers transferred to Pakistan Navy on 15 August 1947". Archived from the original on 11 February 2017. Retrieved 3 February 2019. ^ Siddiqa-Agha, A. (20 March 2001). Pakistan's Arms Procurement and Military Buildup, 1979-99: In Search of a Policy. Springer. ISBN 9780230513525. Retrieved 17 January 2017. ^ Raymond V B Blackman (ed.). Jane's Fighting Ships 1963-4,. London: Sampson Low, Marston & Co. Ltd. p. 19. ^ a b Read, Anthony; Fisher, David (July 1999). The Proudest Day: India's Long Road to Independence. W. W. Norton & Company. ISBN 9780393318982. Retrieved 3 November 2016. ^ a b c d PakDef Military Consortium. "The First Destroyer". pakdef.org. PakDef Military Consortium. Archived from the original on 4 March 2016. Retrieved 14 November 2016. ^ "Admiral Romuald Nalecz-Tyminski" (PDF). federacjapolek.ca. Polish Spirit. Archived (PDF) from the original on 10 May 2017. Retrieved 15 November 2016. ^ Hamid Hussain. "Tale of a love affair that never was: United States-Pakistan Defence Relations". Hamid Hussain, Defence Journal of Pakistan. Hamid Hussain, Defence Journal of Pakistan. Archived from the original on 4 March 2012. Retrieved 12 February 2012. ^ Hiranandani, V adm. G.M. (2000). "(§Pakistan Navy's underwater forces program)" (google books). Transition to Triumph. New Delhi, India: Lancer Publications and Distributors. p. 415. ISBN 9781897829721. Retrieved 30 January 2019. ^ a b c d e Usman, Tariq. "1965 War". pakdef.org. Usman Tariq Pakdef. Archived from the original on 30 March 2014. Retrieved 15 November 2016. ^ a b Story of the Pakistan Navy Op . Cit. pp. 283-288. ^ a b c d e Anjali, Gosh (2009). India's Foreign Policy The Pakistan Threat. New Delhi: Repro India Ltd. pp. 176–180. ISBN 978-81-317-1025-8. ^ "Navy Special Forces". Global Security.org. Archived from the original on 29 June 2011. Retrieved 29 June 2011. ^ a b c Tasnim, Vice-Admiral Ahmed (May 2001). "Remembering Our Warriors – Vice Admiral Tasneem". www.defencejournal.com. Vice Admiral A. Tasnim, Defence Journal. Archived from the original on 10 May 2017. Retrieved 17 November 2016. ^ a b c d e Salik, PA, Siddique (1997). Witness to Surrender. Karachi, Pakistan: Inter Services Public Relations. pp. 60–90. ISBN 978-984-05-1374-1. ^ Roy, Admiral Mihir K. (1995). War in the Indian Ocean. United States: Lancer's Publishers and Distributions. pp. 218–230. ISBN 978-1-897829-11-0. ^ a b c d e f g h i Tiwana, M.A. Hussain (November 1998). "The Angry Sea". www.defencejournal.com. M.A. Hussain Tiwana Defence Journal. Archived from the original on 13 March 2009. Retrieved 15 November 2016. ^ a b John Pike. "Hangor Class (Fr Daphn". Archived from the original on 27 April 2015. Retrieved 24 December 2014. ^ a b c d e f IN, Indian Navt. "Trident, Grandslam and Python: Attacks on Karachi". Trident, Grandslam and Python: Attacks on Karachi. Archived from the original on 26 September 2009. Retrieved 9 April 2012. ^ Haidar, Sajjad S.; Chopra, Pran. "War on the Western Front". www.archive.org. archives. Retrieved 11 February 2019. ^ Till, Geoffrey (18 February 2019). "Seapower: A Guide for the Twenty-first Century". Psychology Press. Archived from the original on 11 June 2016. Retrieved 18 February 2019 – via Google Books. ^ Joseph, Josy (12 May 2010). "Now, no record of Navy sinking Pakistani submarine in 1971". TOI website. Times of India. Archived from the original on 11 August 2011. Retrieved 28 May 2010. Pakistani authorities say the submarine sank because of either an internal explosion or accidental blast of mines that the submarine itself was laying around Vizag harbour. ^ Jacob, Lt Gen JFR. "The truth behind the Navy's 'sinking' of Ghazi". sify news website. sify news. Archived from the original on 28 May 2010. Retrieved 28 May 2010. ^ Jacob, Lt Gen JFR (25 May 2010). "The truth behind the Navy's 'sinking' of Ghazi". sify news website. sify news. Archived from the original on 28 May 2010. Retrieved 28 May 2010. On December 9, the Navy announced that they had sunk the Ghazi on December 4, after the start of the war. Later, officers were decorated for their role and the offensive action of their ships in the sinking of the Ghazi. After the war, however, teams of divers confirmed that it was an internal explosion that sank the Ghazi. The log of the Ghazi was recovered and the last entry as far as I can recall was on November 29, 1971. Sadly, that too has been destroyed. ^ Sengupta, Ramananda (22 January 2007). "The Rediff Interview/Admiral S M Nanda (retd) 'Does the US want war with India?'". Interview. India: Rediff. Archived from the original on 25 October 2010. Retrieved 26 March 2010. ^ "Maritime Awareness and Pakistan Navy". Defence Notes by Commander (Retd) Muhammad Azam Khan. Archived from the original on 9 March 2016. Retrieved 16 May 2005. ^ "Chapter-39". Archived from the original on 1 March 2012. Retrieved 24 December 2014. ^ "Damage Assessment – 1971 INDO-PAK Naval War" (PDF). B. Harry. Archived from the original (PDF) on 30 October 2005. Retrieved 16 May 2005. ^ "Military Losses in the 1971 Indo-Pakistani War". Venik. Archived from the original on 25 February 2002. Retrieved 30 May 2005. ^ "Express India". Archived from the original on 25 April 2013. Retrieved 24 August 2005. ^ Tariq Ali (1983). Can Pakistan Survive? The Death of a State. Penguin Books. p. 95. ISBN 978-0-14-02-2401-6. In a two-seek war, Pakistan lost half its navy. ^ a b c d e f g Shariff, PN, Admiral Mohammad (2010). Admiral's Diary: Battling through stormy sea life for decades. The Army Press, Islamabad. p. 415. ^ a b c d e f g h "Pakistan Navy Chronology of Important Event from 1947 to June 2012". www.paknavy.gov.pk. Navy ISPR. Archived from the original on 26 September 2018. Retrieved 31 January 2019. ^ Rai, Ranjit (1987). A Nation and Its Navy at War. New Delhi, India: Lancer International. p. 190. ISBN 9788170620136. Retrieved 31 January 2019. ^ Singh, Ravi Shekhar Narain Singh (2008). "(§Military and Politics)" (google books). The Military Factor in Pakistan (1st ed.). New Delhi, India: Lancer Publishers. p. 455. ISBN 9780981537894. Retrieved 31 January 2019. ^ Singh, Maj Gen Sukhwant (1980). India's Wars Since Independence. Lancer Publishers LLC. ISBN 9781935501602. Retrieved 31 January 2019. ^ "Destroyer Photo Index DD-719 / DDE-719 USS EPPERSON". www.navsource.org. Archived from the original on 22 July 2018. Retrieved 1 February 2019. ^ Ilmi Encyclopaedia of General Knowledge. Ilmi Kitab Khana. 1979. p. 548. ^ Rikhye, Ravi (1985). The Fourth Round: Indo-Pak War 1984. ABC Publishing House. p. 253. Retrieved 29 September 2018. ^ Shah, Mian Zahir (2001). Bubbles of Water: Or, Anecdotes of the Pakistan Navy. Karachi, Pakistan: PN Book Club Publication. p. 487. ISBN 9789698318031. Retrieved 25 January 2017. ^ a b c d NTI. "Nuclear Submarine for Navy" (PDF). 6 October 1990. NTI 1990. Archived (PDF) from the original on 30 September 2013. Retrieved 7 April 2012. ^ Bashir, PN, Adm. Noman (July 2010). "The Pakistan Navy's Role in Peacetime Diplomacy: Emerging Scenario in the Indian Ocean". Pakistan Horizon. 63 (3): 1–7. ISSN 0030-980X. JSTOR 24711004. ^ a b c d Lodhi, F.S. "An Agosta Submarine for Pakistan". Lieutenant-General F.S. Lodhi. Lieutenant-General F.S. Lodhi, PA. Archived from the original on 3 March 2016. Retrieved 7 April 2012. ^ a b c d Anwar, Muhammad; Baig, Ebad (December 2012). Pakistan: Time for Change. AuthorHouse. ISBN 9781477250303. Retrieved 16 November 2016. ^ III, A. D. Baker (2002). The Naval Institute Guide to Combat Fleets of the World. Naval Institute Press. Retrieved 1 February 2019. ^ "404 · Lockheed Martin". Archived from the original on 3 January 2012. Retrieved 24 December 2014. ^ "Pakistan naval aircraft crashes". BBC News. 29 October 1999. ^ a b "16 dead as India shoots down Pakistani naval plane". The Independent. 10 August 1999. Archived from the original on 18 November 2010. Retrieved 24 December 2014. ^ Dittmer, Lowell (2003). South Asia's Nuclear Security Dilemma: India, Pakistan, and China. Routledge. ISBN 9781317459569. Retrieved 17 November 2016. ^ PN. "Pakistan Navy and Operation OEF". PN Second. Archived from the original on 26 July 2007. Retrieved 11 April 2012. ^ Lt. (j.g.) Bryan Boggs, USN (6 June 2008). "USS Curts, Pakistani Navy Participate in Officer Exchange Program". NNS080602-12. Abraham Lincoln Carrier Strike Group Public Affairs. Retrieved 27 December 2010. ^ Mackey, Robert (23 May 2011). "Before Attack, Pakistan's Navy Boasted of Role in Fight Against Taliban". NYTimes – The Lede (blog). The New York Times. Archived from the original on 17 June 2012. Retrieved 10 April 2012. ^ "Blast hits Pakistan Navy bus, third in a week". The News International. Jang Group of Newspapers. Archived from the original on 9 March 2012. Retrieved 19 May 2011. ^ "A joint attack by al-Qaeda, TTP". The News International. Jang Group of Newspapers. Archived from the original on 26 May 2011. Retrieved 22 May 2011. ^ "Pakistan agrees to send ships to block arms shipments to Yemen rebels". mcclatchydc. Archived from the original on 16 November 2018. Retrieved 1 February 2019. ^ Star Desk (10 February 2012). "Pakistan Navy to build nuclear submarine". ARY News. Archived from the original on 18 April 2013. Retrieved 6 April 2012. ^ a b Mazhar Aziz (2008). Military control in Pakistan: the parallel state. Milton Park, Didcot, Oxfordshire, UK: Taylor and Francis-e-Library. pp. 80–81. ISBN 978-0-415-43743-1. ^ "Operation Madad". www.paknavy.gov.pk. Archived from the original on 1 February 2019. Retrieved 1 February 2019. ^ Staff writer (29 December 2004). "Navy assisting in tsunami relief". IRIN. IRIN. IRIN. Archived from the original on 6 August 2018. Retrieved 6 August 2018. ^ a b "2 Pakistan Navy ships, C-130s to join rescue work". 2 January 2005. Archived from the original on 29 October 2010. Retrieved 24 December 2014. ^ "Jang Group Online Defence Day Supplement". Archived from the original on 24 December 2014. Retrieved 24 December 2014. ^ "PN ships to arrive in Indonesia for relief operation in tsunami-hit areas". Archived from the original on 23 March 2012. Retrieved 31 January 2011. ^ "The role of Pakistan Armed Forces in Bangladesh". Archived from the original on 18 March 2011. Retrieved 31 January 2011. ^ "PAKISTAN NEWS - Information and News Portal". archive.is. 16 November 2013. Archived from the original on 16 November 2013. Retrieved 18 February 2019. ^ "Pakistan Navy continues relief operations". The News International, Pakistan. 16 August 2010. Archived from the original on 24 December 2014. Retrieved 24 December 2014. ^ "Karachi News". Archived from the original on 9 October 2011. Retrieved 24 December 2014. ^ "Pak Navy Sea King Helicopters rescued eleven members on an Iranian Boat". www.thenews.com.pk. Archived from the original on 7 July 2018. Retrieved 7 July 2018. ^ "News on radio.gov.pk". www.radio.gov.pk. Archived from the original on 7 July 2018. Retrieved 7 July 2018. ^ "Bahria Foundation". www.bahriafoundation.com. Archived from the original on 13 October 2018. Retrieved 4 February 2019. ^ a b Asad, Malik (19 August 2018). "Property tycoon loses plea for using Bahria Town as brand name". DAWN.COM. Dawn Newspaper. Dawn Newspaper. Archived from the original on 4 February 2019. Retrieved 4 February 2019. ^ "Chairman Profile - Karachi Port Trust | Karachi Port Trust". kpt.gov.pk. Archived from the original on 7 February 2019. Retrieved 4 February 2019. ^ "Pak Navy committed to protecting Gwadar port, CPEC: PM". www.geo.tv. Archived from the original on 7 February 2019. Retrieved 4 February 2019. ^ "Leadership and Command of Pakistan Navy" (PDF). Archived (PDF) from the original on 4 April 2018. Retrieved 16 January 2019. ^ a b c d e f g h i j k l m n Khan, Hameed (1 June 2003). "Command and Structure of Pakistan Navy" (html). www.pakdef.org. PakDef Military Consortium. Archived from the original on 26 September 2018. Retrieved 16 January 2019. ^ a b "Branches and Professions in the Navy". www.paknavy.gov.pk. Archived from the original on 19 November 2016. Retrieved 1 February 2019. ^ "Pak's navy inaugurates new Strategic Force headquarters". 9 August 2012. Archived from the original on 1 May 2013. Retrieved 3 July 2013. ^ a b "Navy Special Service Group". www.paknavy.gov.pk. Archived from the original on 29 November 2016. Retrieved 3 February 2019. ^ "SEALs Team". Archived from the original on 26 August 2015. Retrieved 4 February 2019. ^ a b c Khan, Wajahat Saeed (12 April 2011). "Special Service Group (Navy) - Pakistan - Documentary" (watch.tv). www.youtube.com. Dawn Newspaper. Retrieved 3 February 2019. ^ "Pakistan Navy Seals". 7 July 2018. Retrieved 3 February 2019. ^ PN. "Pakistan Marines and the Navy". Pakistan Navy. Pakistan Naval Inter-Services Public Relations (Naval ISPR). Archived from the original on 4 July 2006. Retrieved 8 April 2012. ^ a b Khiyal, Commander Roshan. "Pakistan Marines". ISPR Marines. Archived from the original on 23 December 2018. Retrieved 3 February 2019. ^ "G For Gharida: Pakistan Marines - Express News" (in Urdu). 8 September 2016. Retrieved 3 February 2019. ^ a b Panda, Ankit (1 April 2018). "Pakistan Conducts Second Test of Babur-3 Nuclear-Capable Submarine-Launched Cruise Missile". The Diplomat. The Diplomat. The Diplomat. Retrieved 5 February 2019. ^ Raska, Michael; Bekkevold, Jo Inge; Kalyanaraman, S. (2015). Bowers, Ian (ed.). Security, strategy and military change in the 21st century : cross-regional perspectives (google books). New York: Taylor & Francis. p. 298. ISBN 9781317565345. Retrieved 5 February 2019. ^ Daily Report: South Asia. Foreign Broadcast Information Service. 1982. Retrieved 13 January 2018. ^ a b "Pak Navy to build nuclear submarine,4/18/2013 11:25:37 PM". archive.is. 18 April 2013. Archived from the original on 18 April 2013. Retrieved 5 February 2019. ^ "Pakistan attains 'second strike capability' with test-fire of submarine-launched cruise missile". DAWN.COM. 9 January 2017. Archived from the original on 3 July 2018. Retrieved 5 February 2019. ^ a b "Officer rank system in Pakistan Navy". www.paknavy.gov.pk. Archived from the original on 24 January 2013. Retrieved 3 February 2019. ^ a b c d e f "Career as Professional Officer". www.paknavy.gov.pk. Archived from the original on 19 November 2016. Retrieved 3 February 2019. ^ "Ranks system in Pakistan Navy". www.paknavy.gov.pk. Archived from the original on 24 January 2013. Retrieved 3 February 2019. ^ a b The Military Balance 2010, p. 367, International Institute for Strategic Studies (London, 2010). ^ a b c d e f g h i j "Career as a Enlisted Sailor". www.paknavy.gov.pk. Archived from the original on 26 November 2016. Retrieved 3 February 2019. ^ "Recruitment centers". www.paknavy.gov.pk. Archived from the original on 19 November 2016. Retrieved 3 February 2019. ^ "Pakistan Naval Academy". www.paknavy.gov.pk. Archived from the original on 20 December 2016. Retrieved 3 February 2019. ^ Dr. Mustaghis-ur-Rahman (19 March 2012). "Gender inequality in coporates [sic]". Dawn News, 19 March 2012. Retrieved 11 April 2012. ^ a b Our Reporter (10 March 2012). "Pakistan Navy offers jobs to Balochistan youths". Dawn News, 10 March 2012. Archived from the original on 14 April 2012. Retrieved 11 April 2012. ^ "PNS Himalaya- the boot camp of Navy". www.paknavy.gov.pk. Archived from the original on 17 December 2016. Retrieved 3 February 2019. ^ Ahmed, Khaled (2014). Sleepwalking to Surrender: Dealing with Terrorism in Pakistan. Penguin UK. ISBN 9789386057624. Retrieved 17 November 2016. ^ "Pakistan Navy Official Website". www.paknavy.gov.pk. Archived from the original on 10 December 2016. Retrieved 4 February 2019. ^ "Naval Engineering College". www.paknavy.gov.pk. Archived from the original on 4 February 2019. Retrieved 4 February 2019. ^ "Naval Polytechnic Institute". www.paknavy.gov.pk. Archived from the original on 18 December 2016. Retrieved 4 February 2019. ^ a b "Pakistan Naval Academy". www.paknavy.gov.pk. Archived from the original on 20 December 2016. Retrieved 4 February 2019. ^ Carter, Captain Harry (2012). The Life and Loves of a United States Naval Aviator. iUniverse. ISBN 9781475950724. ^ "Naval War College". www.paknavy.gov.pk. 3 June 2012. Archived from the original on 12 June 2018. Retrieved 4 February 2019. ^ "School of Logistics and Management". www.paknavy.gov.pk. Archived from the original on 18 December 2016. Retrieved 4 February 2019. ^ a b Aqil Shah, The Army and Democracy: Military Politics in Pakistan (Harvard University Press, 2014), pp. 8–9 Shah, Aqil (April 2014). The Army and Democracy. Harvard University Press. ISBN 9780674728936. Archived from the original on 31 May 2014. Retrieved 31 May 2014. ^ a b c d e Shah, Aqil (2014). "§(Marching Toward Martial Law)". The Army and Democracy (google books) (1st ed.). Cambridge, Mass. U.S.: Harvard University Press. p. 380. ISBN 9780674728936. Retrieved 3 January 2019. ^ "National Defence University Visit to NUST". www.nust.edu.pk. Archived from the original on 21 January 2019. Retrieved 21 January 2019. ^ "Pakistan Navy Hydrographic Department" (PDF). Archived (PDF) from the original on 5 June 2015. Retrieved 4 February 2019. ^ Harkavy, Robert E. (1989). Bases abroad : the global foreign military presence. New York, US: Oxford University Press. p. 389. ISBN 9780198291312. Retrieved 6 February 2019. ^ Pakistan Economist. S. Akhtar Ali. 1971. Retrieved 6 February 2019. ^ "Naval War College". www.paknavy.gov.pk. Archived from the original on 12 June 2018. Retrieved 6 February 2019. ^ a b "Naval Air Station in Turbat becomes operational, will provide support to CPEC". DAWN.COM. 25 May 2017. Archived from the original on 9 February 2019. Retrieved 6 February 2019. ^ Babar, Mian (14 January 2016). "Jinnah Naval Base – Navy expands strategic outreach to West Coast, Persian Gulf". Pakistan Today. Pakistan Today. Archived from the original on 9 February 2019. Retrieved 6 February 2019. ^ "Abbasi becomes first Pakistan PM to board submarine in open sea". The Express Tribune. 24 December 2017. Archived from the original on 25 December 2017. Retrieved 6 February 2019. ^ a b "PM recommends Nishan-e-Haider for Shaheed Lt Yasir Abbas". www.thenews.com.pk. Archived from the original on 7 February 2019. Retrieved 5 February 2019. ^ Zajda, Joseph; Tsyrlina-Spady, Tatyana; Lovorn, Michael (2016). "(§War Heroes)". Globalisation and Historiography of National Leaders: Symbolic Representations in School Textbooks (google books). Springer. ISBN 9789402409758. Retrieved 21 January 2019. ^ Olympiad Champs General Knowledge Class 8 with Past Olympiad Questions. Disha Experts. 2018. ISBN 9789388240420. ^ Warraich, Haider (2010). Auras of the Jinn. Karachi, Pakistan: Roli Books Private Limited. p. 288. ISBN 9789351940036. Retrieved 10 February 2019. ^ Shah, Hussain (1 June 2003). "List of Gallantry Awardees – Navy Officers/CPOs/Sailors". www.pakdef.org. Karachi, Sindh, Pak. : PakDef Military Consortium. Archived from the original (html) on 10 August 2017. Retrieved 10 February 2019. ^ Pakistan Pictorial. Pakistan Publications. 2006. Retrieved 9 February 2019. ^ Naseem, M. (2010). Education and Gendered Citizenship in Pakistan. Springer. ISBN 9780230117914. Retrieved 21 January 2019. ^ a b "Nishan-i-Haider". www.pakistanarmy.gov.pk. Archived from the original on 23 April 2019. Retrieved 9 February 2019. ^ "Surface Fleet". Archived from the original on 19 September 2018. Retrieved 8 February 2019. ^ Ansari, Usman (27 December 2017). "Pakistan shops for warships to replace British frigates, modernize Navy". Defense News. Retrieved 1 June 2018. ^ "Pakistan Navy signs contract to acquire two modern warships from China". Archived from the original on 23 July 2018. Retrieved 22 July 2018. ^ "Navy to acquire two Chinese warships". June 2018. Archived from the original on 23 July 2018. Retrieved 22 July 2018. ^ USA, IBP (20 March 2009). Pakistan Intelligence, Security Activities and Operations Handbook. Lulu.com. ISBN 9781438737218. ^ "Pakistan commissions third Azmat-class patrol vessel | Jane's 360". www.janes.com. Archived from the original on 31 July 2017. Retrieved 29 November 2017. ^ a b "10th Patrol Squadron". www.paknavy.gov.pk. Archived from the original on 11 January 2016. Retrieved 7 February 2019. ^ "Fast Patrol Craft Squadron". www.paknavy.gov.pk. Archived from the original on 23 April 2016. Retrieved 7 February 2019. ^ "Turkish Firm Wins Tender to Build Four Corvettes for Pakistan Navy". www.defenseworld.net. Archived from the original on 5 July 2018. Retrieved 5 July 2018. ^ "Turkey signs deal to produce 4 corvettes with Pakistan". Archived from the original on 19 July 2018. Retrieved 1 June 2018. ^ "Damen begins work on first of two OPVs for Pakistan Navy | Jane's 360". Archived from the original on 19 July 2018. Retrieved 22 July 2018. ^ "Pakistan orders two corvettes from US-based Swiftships". 31 October 2017. Archived from the original on 18 July 2018. Retrieved 18 July 2018. ^ Correspondent, The Newspaper's (2 November 2017). 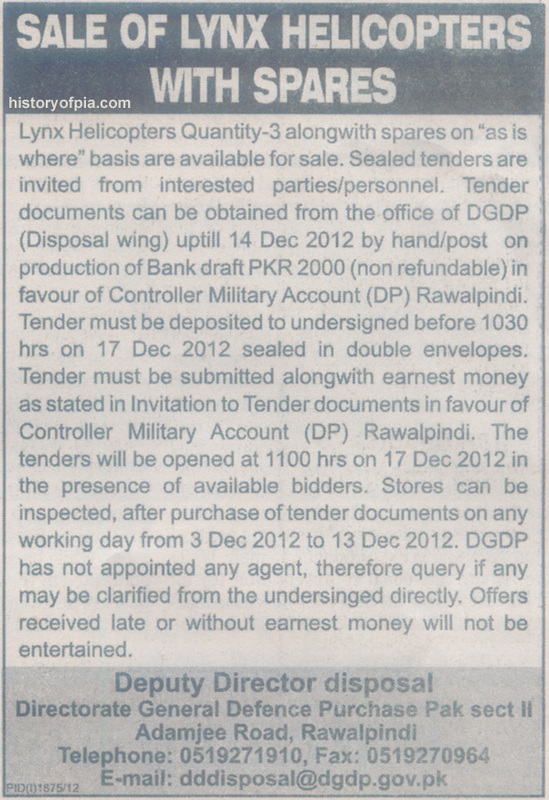 "Pakistan Navy buying vessels for special operations from US company". DAWN.COM. Archived from the original on 9 February 2019. Retrieved 8 February 2019. ^ "Submarine Force". Archived from the original on 19 September 2018. Retrieved 8 February 2019. ^ Khaliej Times (19 May 2009). "German Submarine Deal With Pakistan Goes Quiet". Defence Industry Daily. Archived from the original on 16 September 2011. Retrieved 8 April 2012. ^ Osman, Ali (19 October 2015). "Pakistan's tool of war: Agosta 90B, our subs in the deep". DAWN.COM. Archived from the original on 9 February 2019. Retrieved 8 February 2019. ^ a b Gady, Franz-Stefan (6 March 2018). "Turkey to Upgrade Pakistan Navy Attack Sub". The Diplomat. Archived from the original on 21 December 2018. Retrieved 8 February 2019. ^ "Beijing eyes bigger arms exports after Pakistan deal, experts say". South China Morning Post. Archived from the original on 28 April 2018. Retrieved 2 June 2018. ^ "Pakistan Navy to shift submarines from Karachi to Ormara". Archived from the original on 24 December 2014. Retrieved 24 December 2014. ^ "Fleet Acoustic Research and Classification Centre". www.paknavy.gov.pk. Archived from the original on 1 July 2015. Retrieved 8 February 2019. ^ a b c "9th Auxiliary squadron". www.paknavy.gov.pk. Archived from the original on 23 April 2016. Retrieved 8 February 2019. ^ "Handing Over Ceremony of LCM - Karachi Shipyard & Engg Works Ltd". ^ "Verslag Moawin". www.hrms-poolster.nl. Archived from the original on 26 June 2018. Retrieved 26 June 2018. ^ "COASTAL TANKERS". Archived from the original on 18 November 2014. Retrieved 8 February 2019. ^ "STUS". Archived from the original on 18 November 2014. Retrieved 8 February 2019. ^ "STUS". www.karachishipyard.com.pk. Archived from the original on 9 February 2019. Retrieved 8 February 2019. ^ "Munsif class hunters". Archived from the original on 24 September 2015. Retrieved 8 February 2019. ^ "PN Fleet Tanker (PNFT) is the biggest warship ever built in Pakistan to date. Image courtesy of Karachi Shipyard & Engineering Works Limited". 1 - Naval Technology. Archived from the original on 17 October 2018. Retrieved 16 October 2018. ^ "PM to attend launching ceremony of PN Fleet Tanker in Karachi on Friday". Associate Press of Pakistan. 17 August 2017. Archived from the original on 17 October 2018. Retrieved 16 October 2018. ^ a b "21st Auxiliary Squadron". www.paknavy.gov.pk. Archived from the original on 23 April 2016. Retrieved 2 June 2018. ^ "Pakistan Navy Official Website". www.paknavy.gov.pk. Archived from the original on 23 April 2016. Retrieved 2 June 2018. ^ "Pakistan Navy commissions dredging vessel | Jane's 360". www.janes.com. Archived from the original on 24 April 2018. Retrieved 2 June 2018. ^ "Pakistan Navy Gets 2 Landing Craft". Naval Today. Archived from the original on 18 June 2018. Retrieved 2 June 2018. ^ a b c PN. "Naval Airwar". Naval Air Arm, Navy. Archived from the original on 19 April 2012. Retrieved 8 April 2012. ^ Ghosh, Anjali (2009). India's Foreign Police. Longman. p. 465. ISBN 9788131710258. Retrieved 9 February 2019. ^ Singh, Ravi Shekhar Narain (2008). The military factor in Pakistan. Illinois, U.S.: Frankfort, IL. p. 460. ISBN 9780981537894. Retrieved 9 February 2019. ^ a b Khan, Wajahat Saeed (9 September 2018). "Mahaaz: The Air Force Academy" (Dunya News). ^ Karim, Asfar (1996). Indo-Pak Relations. Lancer. p. 229. ISBN 9781897829233. Retrieved 9 February 2019. ^ "93 PMSA SQUADRON". Archived from the original on 6 April 2018. Retrieved 9 February 2019. ^ Mureed, Tariq (1 September 2014). "Navy to buy 30 JF 17 Thunder aircraft" (html) (in Urdu). Islamabad: Daily Dunya. Daily Dunya. Archived from the original on 9 February 2019. Retrieved 9 February 2019. ^ a b "G3A3 & G3P4". www.pof.gov.pk. Archived from the original on 10 February 2019. Retrieved 9 February 2019. ^ a b Newspaper, From the (27 December 2010). "Surface-to-air missiles tested by Pak navy". DAWN.COM. Archived from the original on 9 February 2019. Retrieved 9 February 2019. ^ Shah, Syed Imran (1 June 2003). "Anti-Ship Missiles: India and Pakistan" (html). pakdef.org. Islamabad: Pakistan Defense Consortium,. Archived from the original on 10 February 2019. Retrieved 9 February 2019. ^ Correspondents, news agencies (10 September 2012). "Pakistan Navy's shelling of Dwarka in 1965 War". www.thenews.com.pk. News International. News International. Archived from the original on 10 February 2019. Retrieved 9 February 2019. ^ "Pakistan Navy Air Defence System". Press Release, PN. 27 December 2010. Archived from the original on 2 March 2013. Retrieved 9 April 2012. ^ "Navy conducts successful test of Harbah cruise missile". www.thenews.com.pk. Archived from the original on 10 February 2019. Retrieved 9 February 2019. ^ "Pak Navy successfully test-fires anti-ship missile Zarb". www.thenews.com.pk. Archived from the original on 16 December 2018. Retrieved 9 February 2019. ^ Our Correspondents (13 March 2010). "Pakistan Navy tests weapon system". The News International, 13 March 2010. Archived from the original on 5 November 2013. Retrieved 9 April 2012. ^ Ansari, Usman (8 August 2017). "Pakistan conducts anti-ship missile test". Defense News. ^ a b Blood, Peter R. (1996). Pakistan: A Country Study. U.S..: Diane Publishing Co. p. 398. ISBN 9780788136313. Retrieved 9 February 2019. ^ a b "Navy Working Uniforms". Navy Working Uniforms. Archived from the original on 13 December 2014. Retrieved 9 February 2019. ^ Singh., Satyindra (1992). Blueprint to bluewater, the Indian Navy, 1951-65 (google books). New Delhi, India: Lancer International. p. 548. ISBN 9788170621485. Retrieved 9 February 2019. ^ a b c d International Business Publications USA, IBP (2009). Pakistan Intelligence, Security Activities and Operations Handbook (google book (paperback)) (1st ed.). Washington DC: International Business Publications USA. p. 300. ISBN 9781438737218. Retrieved 10 February 2019. "Orbat". Naval and Maritime Security Agency Warship Names 1947–2005. Archived from the original on 6 April 2005. Retrieved 22 June 2005.